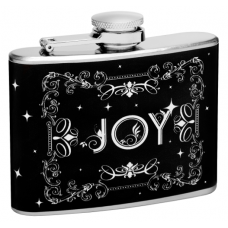 This flask is the perfect bundle of “Joy”. 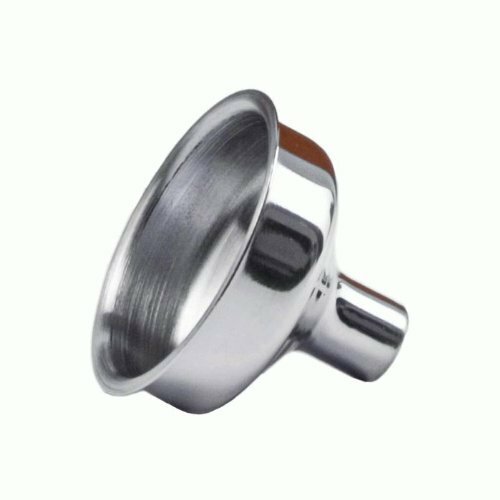 It is small enough that it fits oh so easy in your purse or pocket. 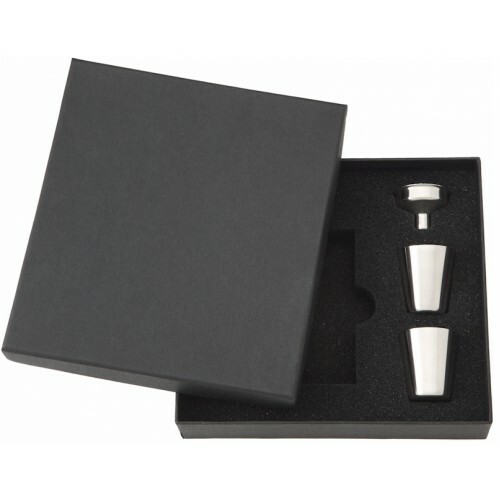 Made of food grade 304 stainless steel the edges are laser welded and each flask is leak tested. The premium vinyl wrap, which covers the entire body, is printed black with a decorative Victorian scroll frame. Stars are added to compliment the finished design. 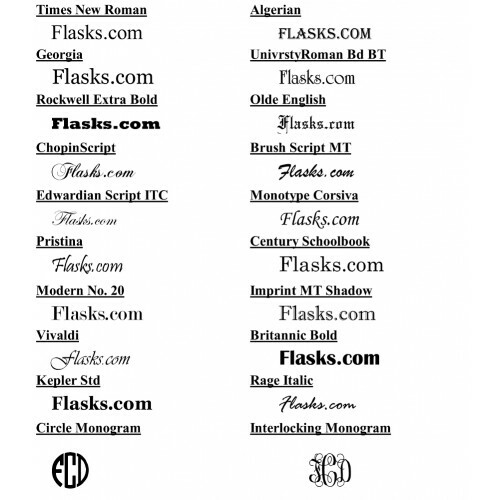 The word “JOY” can be edited to read anything you want in any font and/or just about any color you want. Keep in mind that since this is a smaller flask space is limited. The more characters the smaller the text will be. 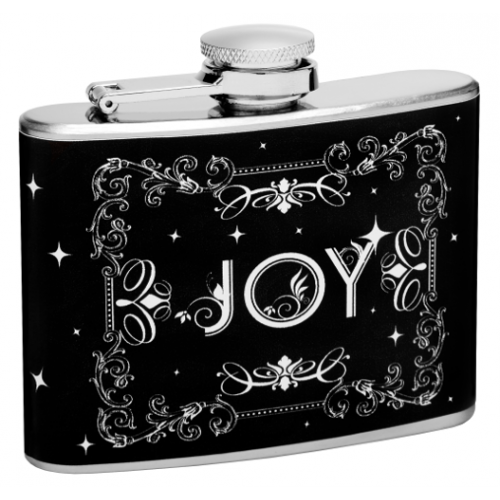 If you would like to add a short message there is space on the back of the flask we can print.